Carrying a pet by hand when traveling can be exhausting. 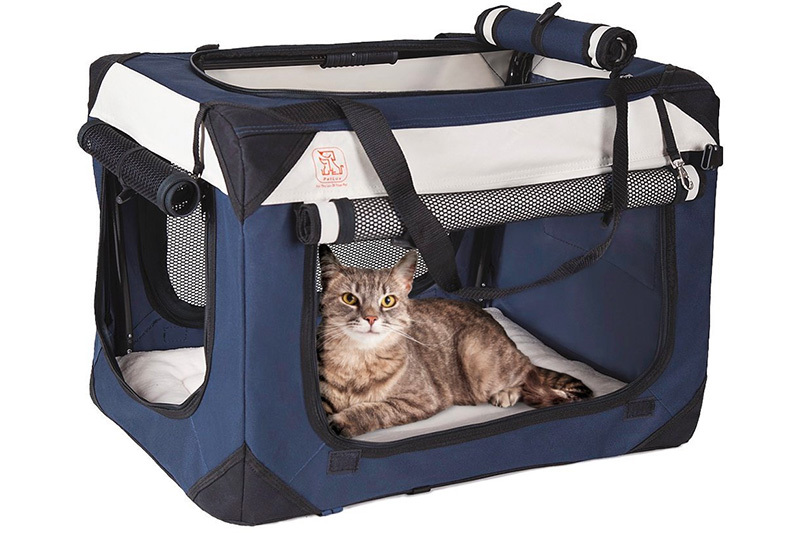 With a pet carrier, you won’t have to worry about your pet exerting pressure on your arms. If you want to travel with your dog or cat by plane, consider getting an airline approved pet carrier. One or two of the airline approved pet carriers discussed below may suit your needs. 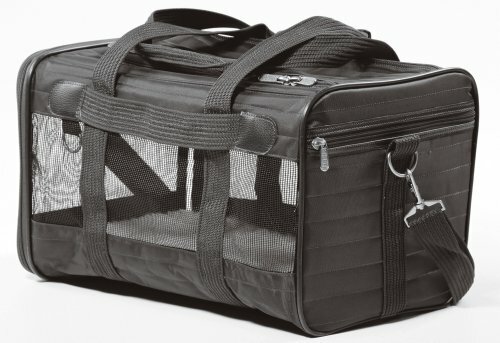 Coco Pet Carrier boasts of fabric derived from 100% recycled bottles. The bag is ideal for an eco-conscious pet owner who’s into fashion and style. The included Pet-Trek 4 spinner wheel trolley takes the weight off your shoulders when carrying your pet. 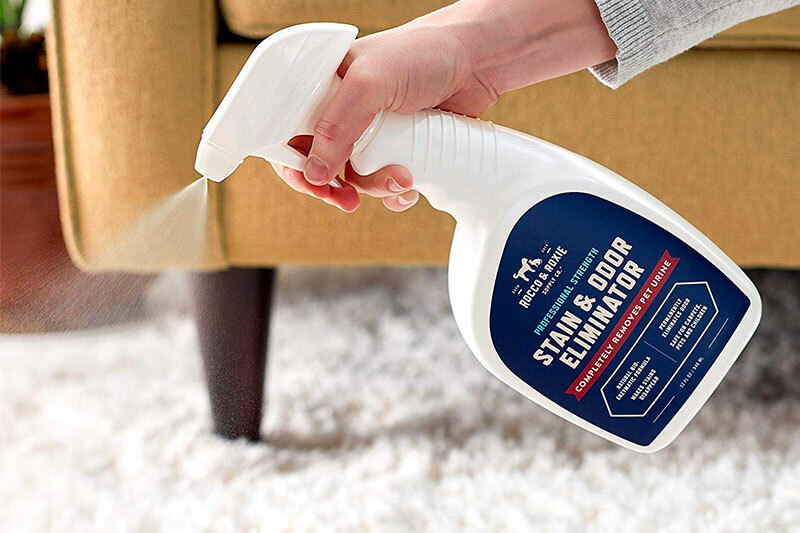 You can also count on it to let your pet to lay or sit in a comfortable position. 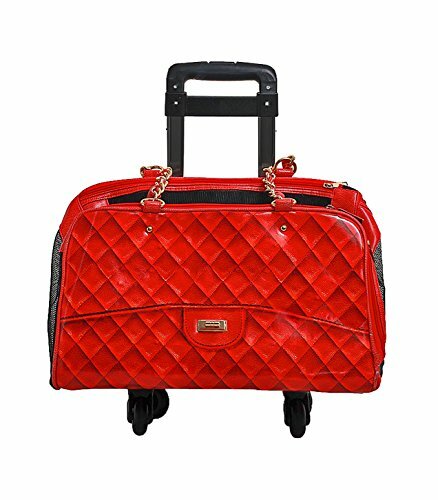 The threaded chain handles and luxurious quilted design make the product look like a designer handbag. The end gussets and mesh top offer adequate ventilation for the pet. On the other hand, the strong seams and metal locks guarantee security and safety. Mr Peanut’s Pet Carrier is a comfortable accessory suited for pets when they’re lying down. The bag’s interior space is less than exterior one due to the plush faux fleece padding and fabric thickness. The product also comes with breathable mesh windows on the top and sides. You can use the zippered pocket to store papers, meds, and treats. The plush fleece pad comes enclosed in a thick plywood base to conveniently support your pet’s weight. All parts of Mr Peanut’s Pet Carrier meet the airline regulations. 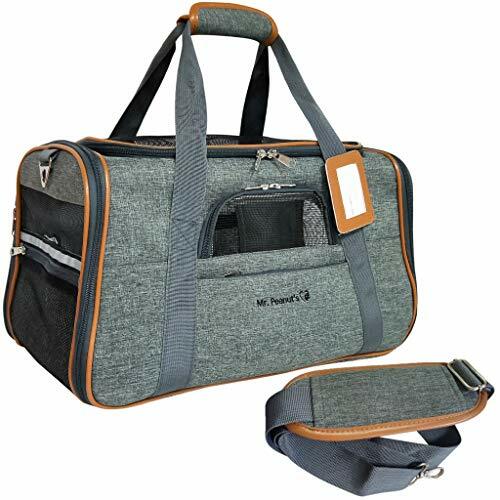 Smiling Paws Pets 4 Way Pet Carrier comes with a machine washable fleece pad that offers extra warmth and comfort to your dog or cat. 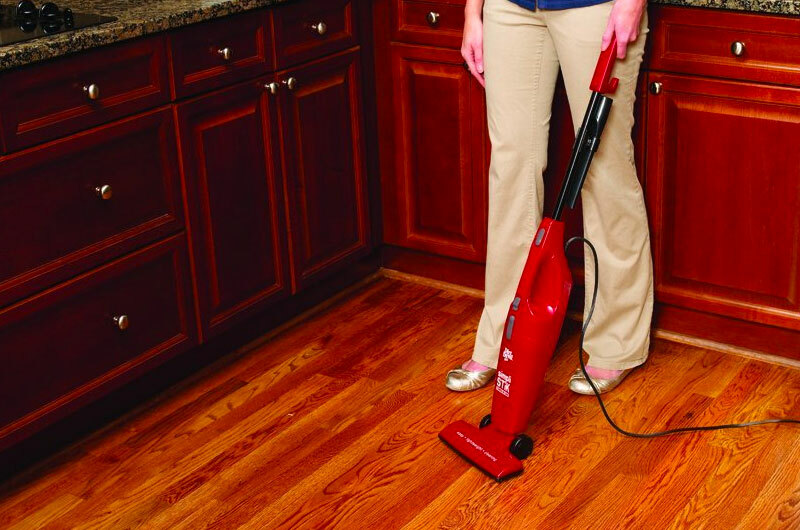 The ventilated design facilitates maximum air circulation. The bag comes with reinforced parts and hinges made of stainless steel for security. This is a thoughtfully designed secure and safe carrier for life on the go with small pets. 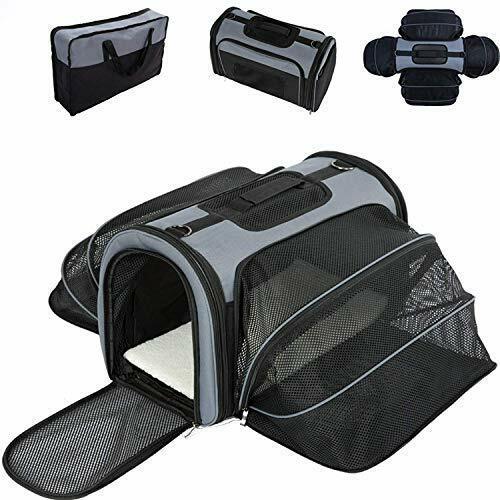 Additionally, it has a three mesh sides that offers ample ventilation and unzips capability for multiple entry options making this carrier a perfect choice for pets comfort and health. Besides, you can zip the privacy cover shut to close out distractions while reducing your pets travel anxiety. As well, you can unzip during downtime so that you can give them a snack. With the adjustable shoulder straps detaches for easy storage. In case of accidents, the base has a faux fur liner which is washable. Besides, the carrier features a water-resistant canvas that complies with most airlines cabin regulations. Traveling with your pet can be stressful, however, suing Sherpa ensures that your pets are comfortable and secure. 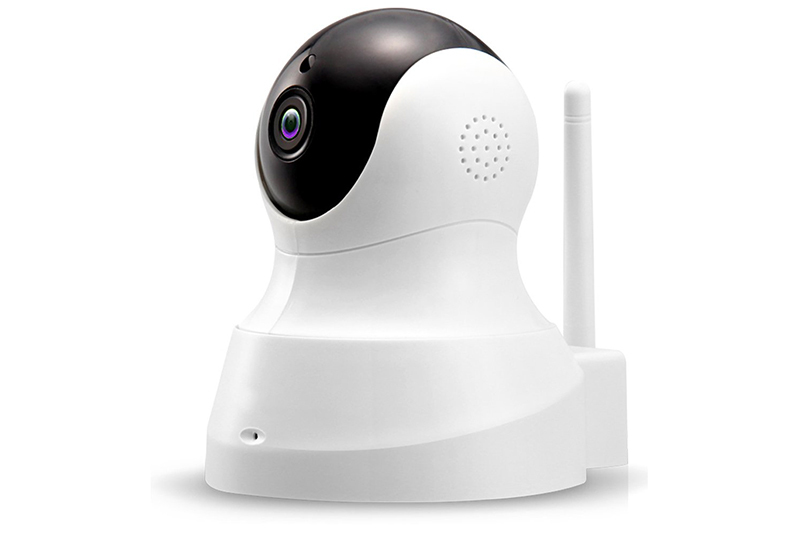 Besides, it is a widely recognized carrier with a 1-year limited warranty. 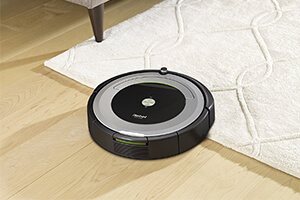 Additionally, the carrier has recessed castor wheels for steady, quiet and smooth motion. It also features a Pet on Board Flag for easy visibility while traveling. The padded pull handle adds some extra comfort and conveniently detaches with double adjustable luggage bags. In addition, the patented spring wireframes allow the carrier to fit under the airline seats while at the same time maintaining its form. With OxGord Paws & Pals Dog Pet Carrier, you do not need to worry about paying pet sitter fees anymore. 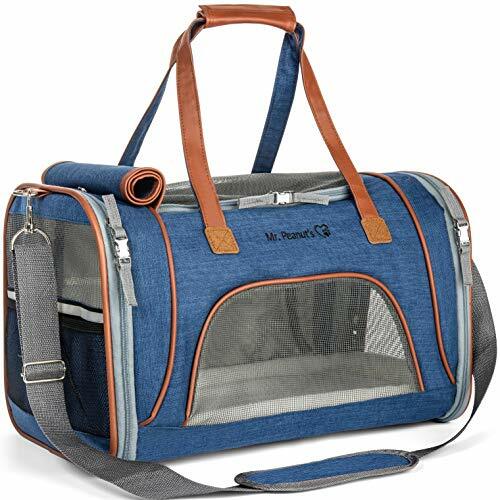 You can take your friend to any place you wish to with this lightweight, convenient, and stylish pet carrier. While you are on the go, the mesh panels allow your pet to interact with the surrounding. 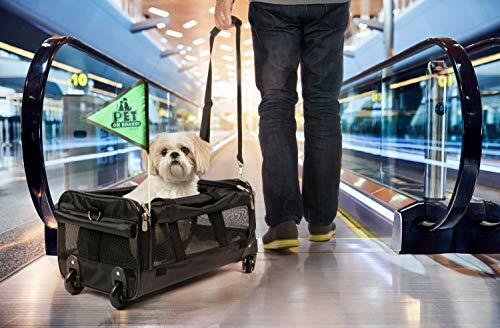 In addition, the carrier has a telescoping handle that allows you to roll the carrier on the ground with ease in the event that you are tired of carrying your pet. Moreover, with the multiple storage pockets, you can still carry the pet supplies which are necessary with you. 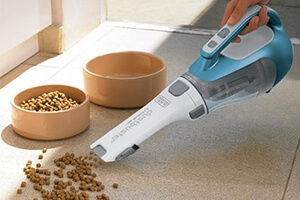 However, in case your pet has an accident, you can easily remover the outer material and wash it. This luxury tote is crafted with high-quality and durable materials to keep your pet secure, calm, and safe. Besides, it has a comfortable fleece padded for your best friend. In addition, the carrier is light at only 2.7lbs, yet durable and firm to protect your pet. It also features a waterproof exterior nylon fabric. The fabric is easy to clean while the fleece pad is also removable. 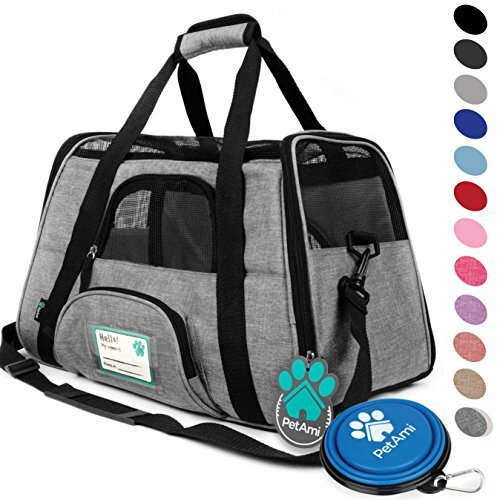 PetAmi Premium is an airline approved pet carrier designed for the best travel experience for you and your pet. Measuring 19.5×10.2×12 inches (length x width x height), the product can fit small and medium-sized dogs and cats. The Sherpa lining bedding gives your pet a comfortable place to relax and rest while the ventilated design allows for optimal airflow. The bag also features a collapsible bowl to keep your pet hydrated and safety strap and safety buckle zippers to prevent it from escaping. 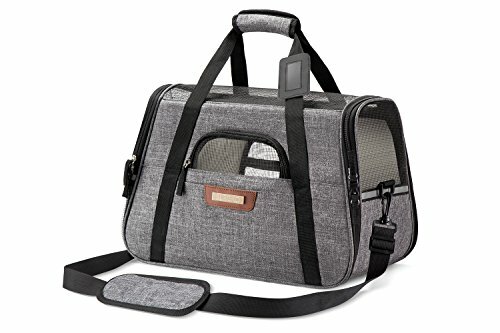 SLEEKO Luxury Pet Carrier features mesh ventilation on the sides and two removable ultra-soft fleece pads for comfort. The product also comes with reflective strips for night visibility, safety buckle zippers and seat belt buckles for safe car travel. The sturdy insert prevents the bag from sagging while the tear-resistant polyester fabric delivers durability. Sherpa Pet Carrier promises to let your pet travel in comfort and style by car or plane. 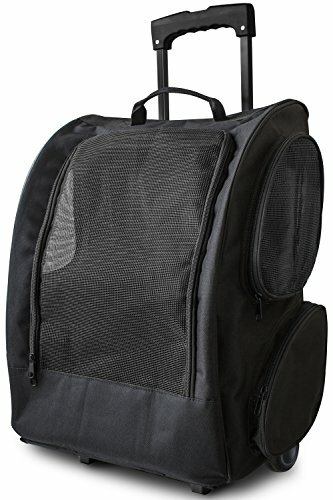 The bag features a patented spring wire frame that enables you to push the rear end of the carrier down to match the seat requirements. The rear pocket offers convenient storage for treats while the mesh windows improve ventilation within the bag. Airline approved pet carriers are available in different sizes and designs. You need to get one that’s lightweight and constructed according to your tastes. 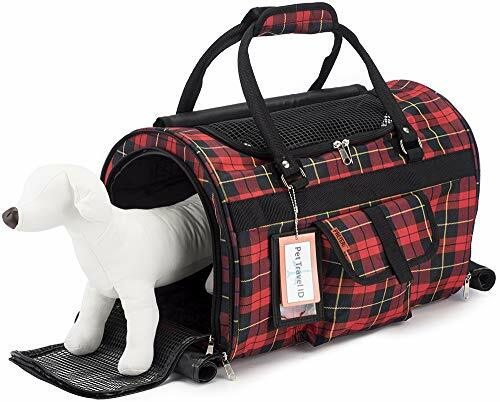 The bag should also have adequate ventilation and soft interior to keep your pet warm and comfortable as you travel.